Home / General / Bloomin’ brilliant budget concealer…. I’ve recently come across a new concealer that I’m really excited about…its affordable and it WORKS! Take a look…. As a working makeup artist, I am always on the hunt for new products, high end, or drugstore cosmetics….if it makes It into my kit, (my third child), then trust me, its good! 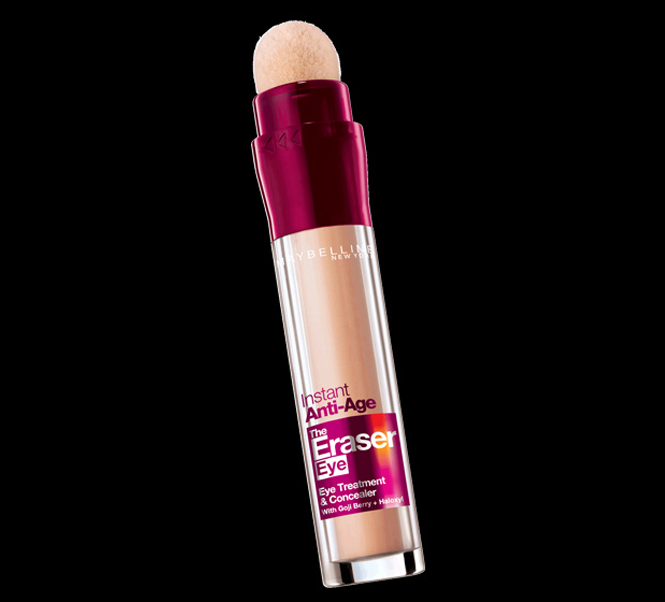 Maybelline Instant Anti Age The Eraser Eye, is an affordable and quite frankly wonderful budget concealer. It’s not a brand new concealer by any means, in fact I’m a little late to the party with this one…. The consistency of this product is great, not too shiny, no shimmer, creamy enough to blend beautifully whilst really helping to cover up the dreaded dark circle’s of doom….I find this work’s nicely on all those pesky fine lines too without sitting within, therefore making them worse! The formula (enriched with Goji Berry) is really hydrating , an essential with under eye makeup and the sponge applicator is a nice little tool for getting right up into the corners of the eye and mastering a perfect blend. Make sure your shade is slightly lighter than your skin tone to ensure a brightening and highlighting effect under the eyes…looks really great on it’s own or with a foundation-go treat yourself! it’s all yours for a modest £7.99- amaze! Error: Error validating access token: Session has expired on Saturday, 09-Feb-19 07:40:21 PST. The current time is Wednesday, 24-Apr-19 18:50:05 PDT.